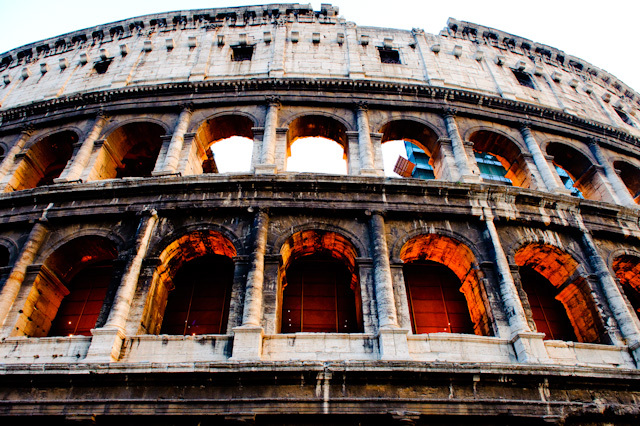 You’ll see the Colosseum (inside), Roman Forum (all temples, basilicas, triumphal arches), and the Palatine Hill. This Semi-Private Rome tour begins at the Colosseum. Built by the Emperor Vespasian in 72 A.C. it is Rome’s greatest amphitheater and has hosted innumerable bloody battles between beasts and gladiators. The Palatine hill Located here are the houses of Augustus and Livia, the residence of the Severi and Tiberius’ Domus; so named the Emperors’ residence. Thanks to its large stadium and the terraces an impressive view of the Circus Maximus can be appreciated. The Roman Forum Began as a Market place and soon became the hub of Rome for economics, religion and politics- the real historical center, with its ancient Basilicas, triumphal arches, honorary columns, ancient pagan cemeteries and the Quad leveled market.